In January 2017, I wrote about how some deployment hiccups had delayed the arrival of the Focused Inbox feature for some clients, especially Outlook desktop. The good news is that the latest builds of Outlook ProPlus (the click-to-run version for Office 365) have the Focused Inbox. All is well and Inboxes around the world are increasingly focused. At least, if you have the right software. 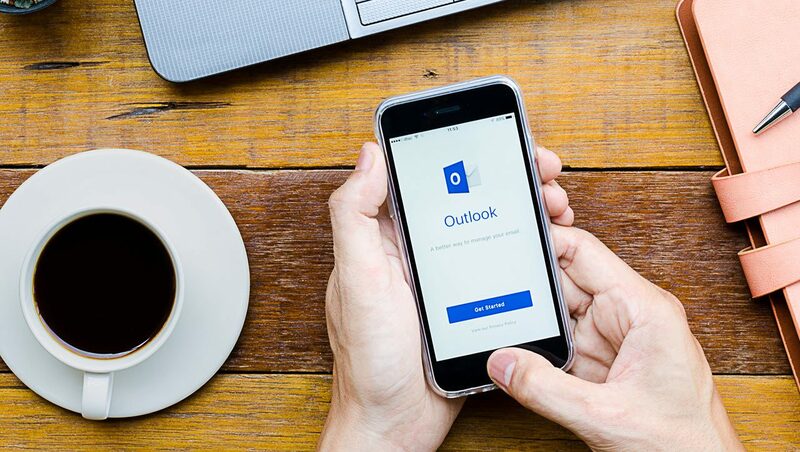 Apart from Windows 10 Mobile, the Outlook apps have had Focused Inbox for years because this was the key feature of the Acompli apps acquired by Microsoft in November 2014 and then rebranded as Outlook in January 2015. Of course, today's Outlook apps are very different, especially in the way that they exploit the Office 365 infrastructure. Outlook 2016 was the last major client to support the Focused Inbox, largely because this client has the most complex of all user interfaces. It is also much harder to update a traditional Windows client than it is to introduce new features into the web client. The long-awaited support for Focused Inbox in Outlook desktop began to appear in the click-to-run version in March with the release of build 7967.2082. In April, Users (including me) with Office ProPlus configured to use the First Release Current channel for updates received the necessary update in build 8067.2032. Following Microsoft's April 20 announcement about a new release schedule for Office ProPlus to have two updates annually, the names of the release channels change. Delivering updated code to clients is a complex business. Microsoft delivers different versions to clients depending on the channel they choose, the tenant configuration, and the Office 365 datacenter region your tenant belongs to. In the case of Focused Inbox, your mailbox must be enabled for the feature, you must use the right build, use modern authentication, and Microsoft must "flight" the feature (turn it on) for the tenant. In other words, having the right build of Outlook installed on your desktop is only one condition to satisfy before Outlook displays the Focused Inbox. Table 1 lists the current situation for major Outlook clients based on my own observations and the information released by Microsoft. The MSI version of Outlook 2016 does not support the Focused Inbox and Microsoft has no plans to backport Focused Inbox to older versions of Outlook. As you recall, the Focused Inbox sorts new email into two categories, each of which Outlook presents to the user in a view. The Focused view shows email considered to be important. The Other view shows everything else. In a perfect world, email that you consider important shows up in Focused and dross like automated notifications about stuff that I don't really need to know about shows up in Other. This is not a matter of sorting junk mail. If rubbish gets through Exchange Online Protection, it still goes into the Junk Email folder. Instead, Focused Inbox is all about helping people to cope better with the increasing volume of email that is in circulation today. Essentially, to help you act on the email that is most important to you and leave the other messages until the time is available to review them. Now that Office 365 enterprise subscribers have 100 GB mailboxes, there is lots of space for messages to wait! To be effective, the Focused Inbox needs to learn what is important to you. Learning occurs by building up a set of rules based on your behavior. If you move a message from the Focused view to Other, it is a sign that you do not think the message is important. Likewise, if you move a message from Other to Focused, you are telling the Focused Inbox that it has made a mistake and needs to do better in future. Your mailbox stores the rules about your personal processing habits for email so that a decision to move an item on any client is equally valuable in terms of affecting future behaviour. Office 365 generates the centrally, meaning that all clients show the same views. It can take some time to train the Focused Inbox to a point where you depend on it. After several months of using Focused Inbox with OWA and the Outlook for iOS app, I am quite happy to check and clean out messages in the Other view once daily. Microsoft wants features like Focused Inbox to work the same on all clients. The implementation in Outlook should come as no surprise. Figure 1 shows that 34 new items are in the Inbox, but because we are positioned in the Focused view and no new mail is shown there, we know that the 34 messages are in the Other view. In fact, we see that six messages have just arrived in the Other view, which is accessed by clicking Other. It would be nice to have separate counts for the Focused view and the Other view, but that does not exist today. If you have used Outlook desktop for a while and never used another client with Focused Inbox, then it might take some time to become used to the way that some messages are "hidden" in the Other view, but it soon becomes natural. The only aspect that distracts me is the way that the Outlook icon in the taskbar flags the arrival of new email, even when those items are in the Other view (Figure 2). I guess that Microsoft has not yet implemented flagging important messages in new mail notifications. "Outlook.com web experience: Focused Inbox is enabled and by default "on" for the majority of users in North America. It is available for approximately 10 percent of users worldwide, but in a default "off" state. We will continue to expand to 100 percent worldwide in a default "on" state starting in March." My Outlook.com mailboxes are in Europe so I have not seen Focused Inbox in those clients yet. The post Focused Inbox Comes to Outlook Desktop at Last appeared first on Petri.